The notch — the little cutout at the top of a phone that houses the selfie camera — may have met its match. 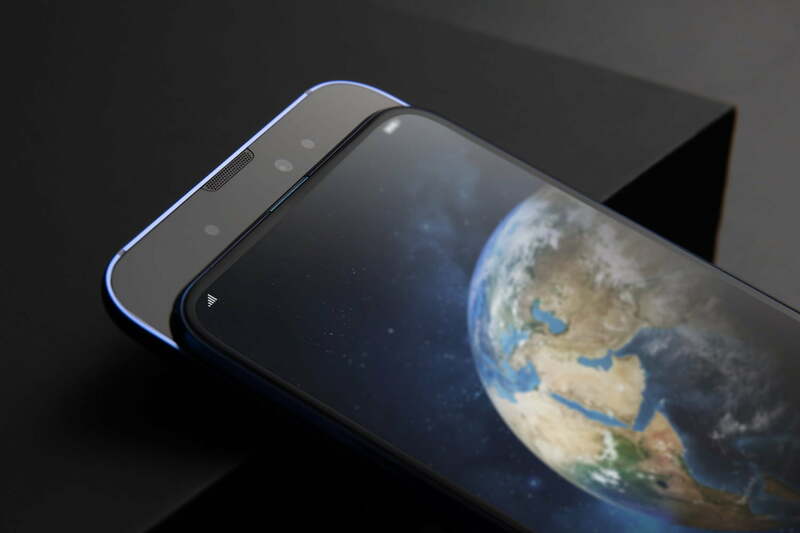 The usurper is the in-screen hole punch, and according to smartphone-maker Honor, it’s going to “provide the best full display visual experience” on our phones for the next year or two. The company talked at length about the new technology, which it calls an All-View Display, during a presentation attended by Digital Trends soon after it was revealed we’ll see the new screen on the Honor View 20 in 2019. What is a hole-punch screen? Before we go further, you may be wondering what a hole-punch display is? The in-screen hole replaces the notch, which has traditionally housed the front camera and other sensors on a bezel-less smartphone body. It gets the name from looking like a small hole “punched” in the corner of the screen, just like a mechanical hole punch machine makes on a sheet of paper. The camera module sits here, so the screen edges are untouched by a notch. Honor isn’t the only one working on such screen technology, but it’s the first to speak in detail about its development, benefits, and how it will improve the user experience. 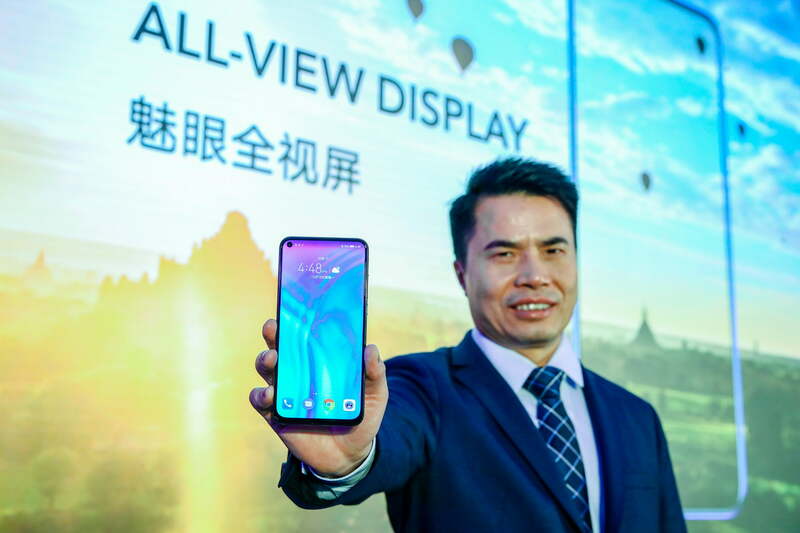 Honor shares technology and development resources with Huawei, and Huawei itself launched the Nova 4 phone in China, which likely shares a very similar version of Honor’s All-Screen Display. Samsung has also introduced a hole-punch screen on the new Galaxy A8s, and is rumored to do the same on the Galaxy S10. 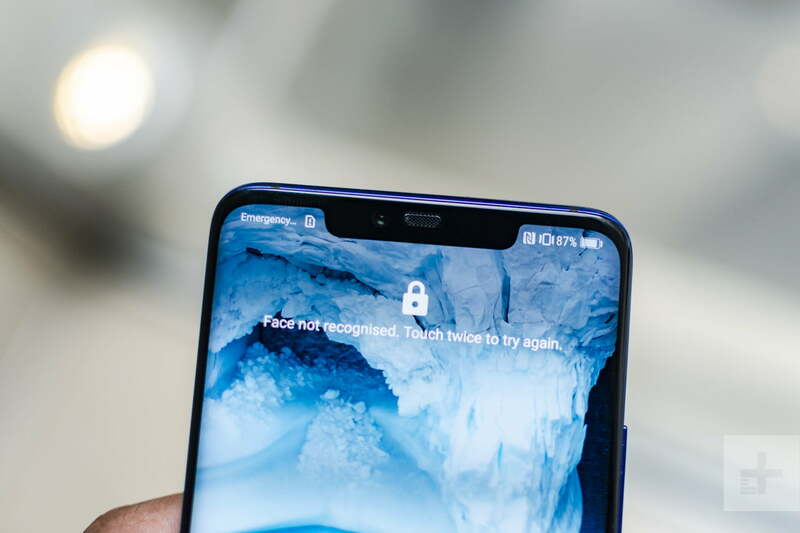 The notch has long been controversial, but the hole punch is more elegant and less noticeable, plus it’s likely easier to implement and use than mechanical alternatives, like the pop up cameras on the Oppo Find X and Vivo Nex S. But there are differences between hold-punch screens, and Honor believes it has already created the ideal version. What’s special about the All-View Display? The decision to put the hole on the left of the screen is not a random one. The left-hand side was the most popular choice among those quizzed in Honor’s research into notches, alternatives, and user behavior. Primarily it’s there because it gets noticed less, mainly because on Android the battery and time is usually displayed on the right, thus drawing visual attention away from the left. Placing it on the left also makes sense for mobile gaming. With the phone in landscape the punch hole is obscured by your hand, leaving an untouched full screen viewing experience. 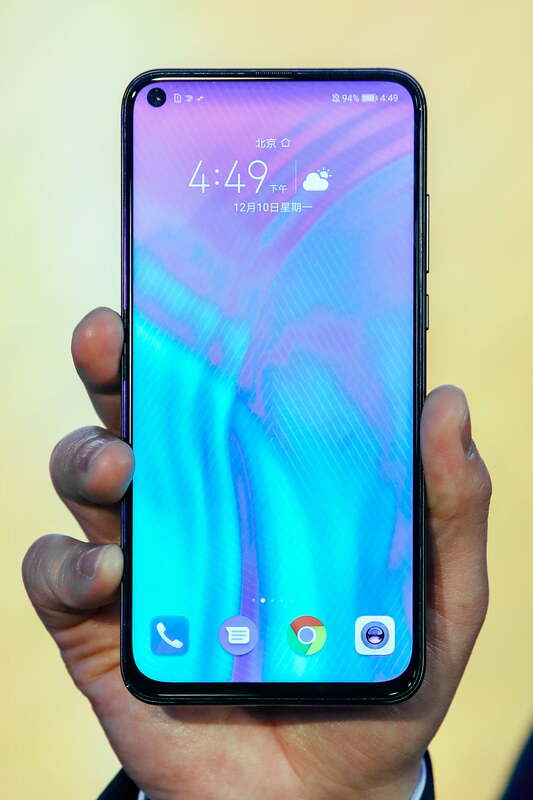 Through surveys, Honor said the punch hole was the most favored design to hide the front camera when compared to both the regular notch and the central teardrop notch. The punch hole was liked by 47-percent, and found acceptable by 38-percent of respondents. Only 15-percent disliked it, while the regular notch was disliked by 23-percent. The central teardrop notch was viewed as acceptable by 56-percent, but fewer people liked it outright. The complex screen has 18 different layers, including the TFT, filters, polarizers, adhesives, and the light guide. The look is much less intrusive than a large notch at the top of the screen, and we like the improved look in landscape for gaming. But question marks remain over how the camera hole will affect Android notification icons along the top of the screen, which are already adversely affected by the notch. This aside, the All-View Display and hole punch camera design looks like a step in the right direction. Not all in-screen cameras and the screens around them will be born equal. To explain, Honor revealed it has engineered the punch hole in a unique way, and made it smaller than you may think. It’s just 4.5mm on the All-View Display, making it less noticeable than any notch we’ve seen before. The Galaxy A8s’s hole punch is larger at 6.7mm. You may also expect the punch hole to drill down through all layers of the screen, but this is not the case. Doing so lowers reliability, reduces attractiveness, and forces larger borders, Honor told Digital Trends. A completely drilled through hole introduces light leakage around the edge too, affecting camera performance. This is an important point. While we may all focus on how attractive the notch and its alternatives look, they have to perform a function — facilitate the use of a selfie camera — and if they don’t do that part well, we’ll have another reason to dislike them, and yet another if the screen breaks because of them too. What has Honor done? The complex screen has 18 different layers, including the TFT, filters, polarizers, adhesives, and the light guide. Honor only penetrates the light guide plate for its punch hole, leaving all the other layers untouched. Reliability is increased, but more importantly, Honor said the selfie camera performance is unaffected. Visual consistency across the range? Like it or not, in one form or another, the notch is everywhere. Neither Honor nor Huawei has been consistent with its use of notch over the past months, using a large notch on the Mate 20 Pro, a tear drop notch on the Mate 20 and Honor 10 Lite, and even a slider on the Honor Magic 2. Is the hole punch just another attempt at visual differentiation, but with little regard for a family look? 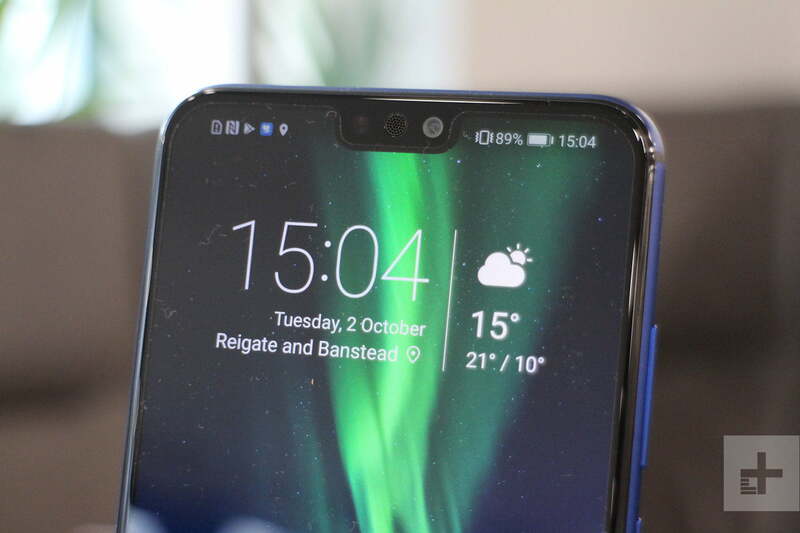 In other words, is this another notch-style to add to the list? Apparently not. The hole punch display will bring about a more cohesive look across the range. It’s a good mix of of price, attractiveness, and functionality, Honor told Digital Trends, but added it’s not the final solution. In other words, expect it to be replaced again in the future, as technology moves forward. It’s not going to replace other notches completely. Sometimes features dictate the use of a larger notch — a structured light sensor is needed for high-level face recognition for example — so notches are not going to disappear. But the hole punch is going to be a favored approach in the near future. It’s even coming to lower cost Honor phones, including the X series. 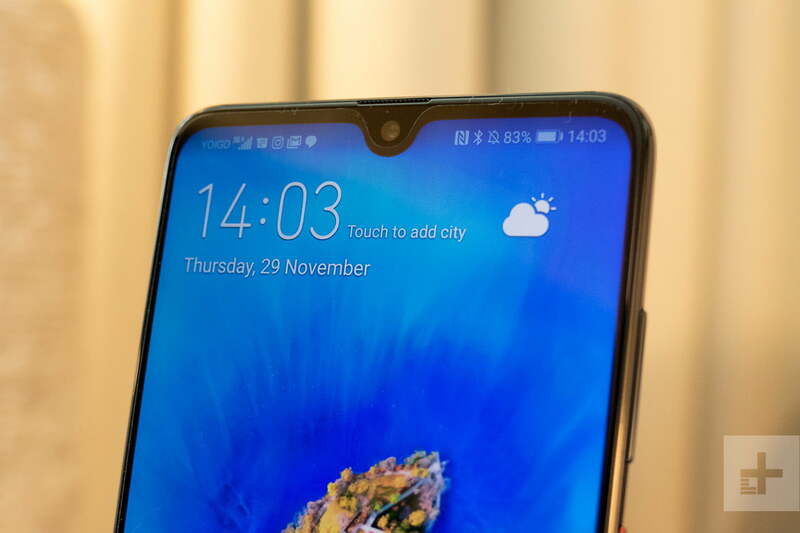 The existing Honor 8X has a mid-size notch at the top of the screen. When will we see an Honor phone with the All-View Display? The Honor View 20 will be the first Honor phone to feature the 4.5mm punch hole in the screen, and it will be announced on January 22.